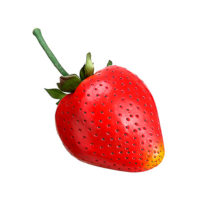 We all love strawberries. They not only taste great but also look great for decoration. 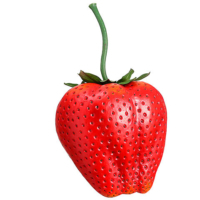 Amazing Produce offers an artificial strawberry that looks very real. 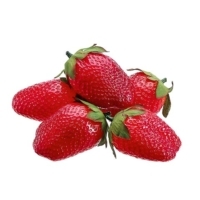 Although you cannot eat our strawberries, they look great in any display. Perfect for a minimalistic touch to your fruit display and decoration project. 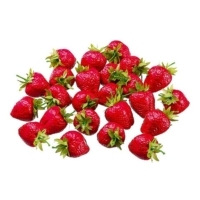 These beautiful and life-like fake strawberries are perfect for indoor and outdoor decorations. 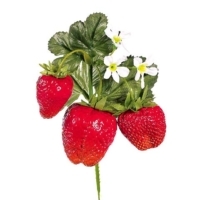 You use our plastic strawberries with the other faux fruit we offer to create a wonderfully realistic display. 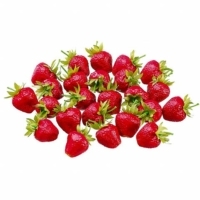 Our artificial strawberries are faultless for beautifying your coffee tables, kitchen tables, and fruit displays. Simply put them in a basket or fruit bowl to add pronunciation your eating table.